China's central bank is applying pressure to the country's shadow banking system. China's central bank has allowed inter-bank borrowing costs to rise rapidly over the past week, a strategy that has the country's "shadow bankers" on the run. Beijing's tactics are designed to crack down on the banks, securities dealers and underground operators that make up the country's flourishing shadow banking system. The government's concern is that lending has grown too big, too fast, and it hopes higher rates will restrain that expansion. At the same time, the fear among investors is that the lending crackdown could slow the economy more than expected. 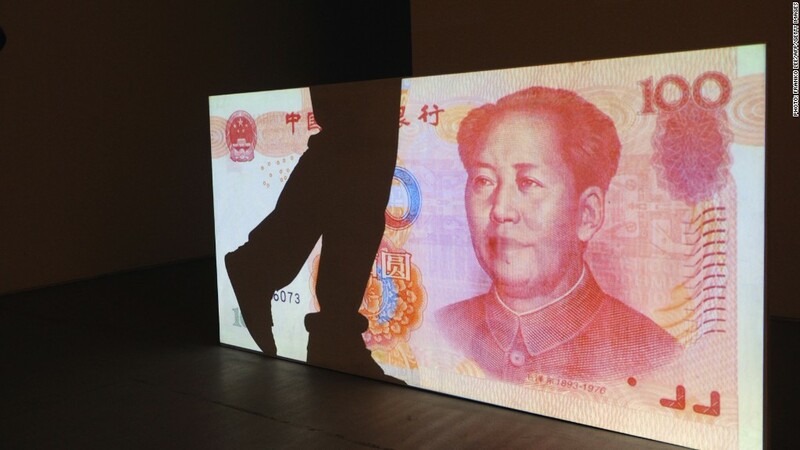 In recent years, shadow banks have carved out a niche trade in China. They offer loans to small and medium-sized companies that are ignored by large state-run banks. Often, the loans are packaged and sold to investors looking for higher returns. In many cases, the shadow lenders provide a valuable service -- offering capital for run-of-the-mill projects that would otherwise go unfunded. This is no small operation. The shadow banking sector's exact reach is unknown, but the Fitch ratings agency estimates its size has reached roughly 60% of China's GDP. But Beijing is now worried that credit is becoming inefficient, increasingly dominated by unregulated lenders and reaching a scale where it could sap growth. By allowing rates to rise, the central bank is signaling that the era of easy credit -- which has helped spur shadow banks -- is over. The central bank last week allowed the rate at which Chinese banks lend to each other to hit a record high above 13%. Another key measure of cash in the banking system -- the seven-day "repo rate" -- peaked at 25%. Under normal circumstances, the central bank would have moved quickly to provide liquidity and lower rates. But the bank stood idly by as investors grew increasingly nervous over the bank's inaction and lack of guidance. The unease manifested in equity markets, which were battered as rates increased. Some clarity emerged over the weekend, when official state media reported that the China's shadow banking system was indeed the central bank's target. "It's not that there's no money," a Xinhua commentary said. "It's that the money is not in the right places." The decision not to jump in and push down borrowing rates for financial institutions is seen as a way to force them to get back to traditional banking. Beijing had recently issued warnings to its banks to avoid risky loans and excessive expansion of credit. The central bank broke its silence on Monday, indicating that its harsh medicine is likely to continue. "Commercial banks must pay close attention to the liquidity situation in the market and must strengthen their analysis and forecasts of factors affecting liquidity," the central bank said in a note posted Monday but dated June 17. Related story: Is China's debt: a crisis in the making? The bank elaborated after a wild day of trading on Tuesday, going so far as to hold a press conference and issue a pledge to keep lending rates at a reasonable level. Mark Williams, chief Asia economist at Capital Economics, said in a research note Monday that the central bank's efforts to rein in credit were the strongest sign yet that China's leadership is "willing to suffer short-term economic pain if necessary to achieve more sustainable growth." But Williams also said the lack of communication from the central bank was troublesome. "By most standards, the behavior of the People's Bank over the last couple of weeks has been extraordinarily reckless," he said. "It did not intervene as interbank rates spiked to extreme levels, despite having the tools to do so, and it offered no explanation for its inaction."